Silverwood is a gated luxury home community that is divided into sections of North Silverwood, East, and West Silverwood. While all are upscale million dollar homes, the estates in North Silverwood are particularly spectacular, offering true mansions on huge acres and breathtaking landscaped lots with private pools, spas, outdoor cooking and dining facilities; along with every luxury interior upgrade, from marble flooring to designer kitchens and wine cellars. Homes in Silverwood North are usually priced around $2 million. 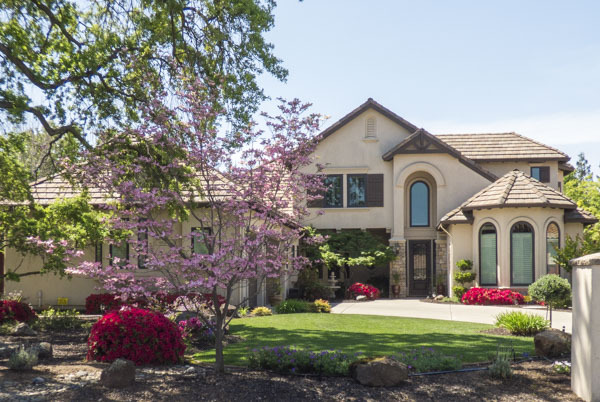 Built around the year 2000, homes in Silverwood East and West are still very impressive, with 5-6 bedroom custom houses on large landscaped lots with mature trees and 3-4 car garages. Backyard pools and spas are the norms here as well, with multiple story homes and some unusual A-frame, stucco-type designs. Priced in the million dollar range, they offer the perfect luxury lifestyle. 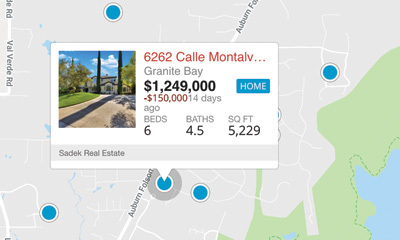 Two of the best schools in Granite Bay are within walking distance, and Folsom Lake is convenient to these neighborhoods. Shopping and dining opportunities are a 5-minute drive away, yet residents have excellent security and privacy and the feel of a country estate. Silverwood is probably at the top of desirable communities that Granite Bay boasts, and a must-see if you're looking for an upscale home. Call us for an appointment to see the homes for sale in Silverwood.